After picking up this tweed suit jacket over the weekend, I've been scheming up ways to channel my inner Chanel (har har) ala Lily Allen in their latest ad campaign. Luckily, I dug up this thrifted treasure at work today (a ruffle collar button down from J. Crew) and sported the wannabe Chanel purse that I scored over the summer. Oh and I tried my darndest to not rip these tights today. Proud of me? Love the pastel skirt. Very Chanel indeed. You look so elegant today! 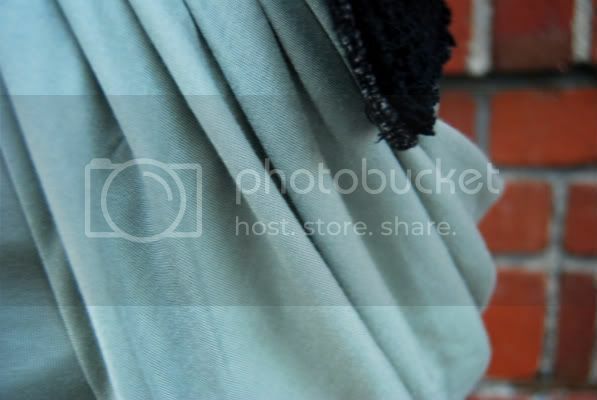 the tweed jacket is lovely and i love that mint green skirt!!!! That skirt is beyond delightful. I love this outfit!! I saw that skirt there the other day it is so amazing! Great choice! Ah ha! I can obviously see the Chanel in this look. Gorgeous..
wow this outfit is so cool! the skirt is amazing! just like louis vuitton! 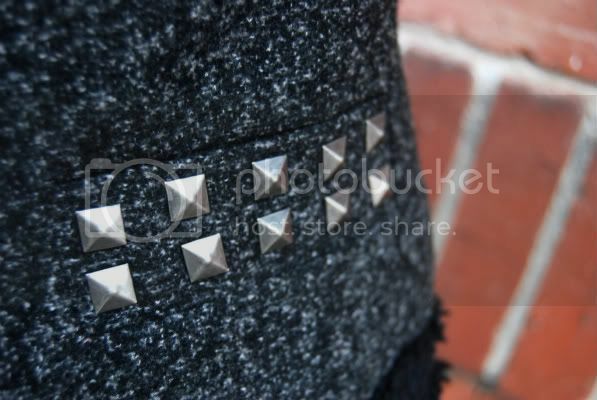 The jacket is perfect: tweed+studds and I love like you wear wit the gorgeous skirt!! Love everything about this! Your skirt is amazing! LOVE that skirt! i want one! i like your blog and your stylings a lot!!! just go on like that!! I absolutely hate ripping tights and this outfit is so cute. I love the subtle mint green on you. So many great things about this outfit. I think my fav is the booties. I was wondering where to get some like that I hope you don't mind if i head over to Steve Madden and purchase my own. This is perfect! The structured jacket is perfect with the flowy skirt. Chanel-inspired outfits are always the best! this is fantastic! love that last pic.